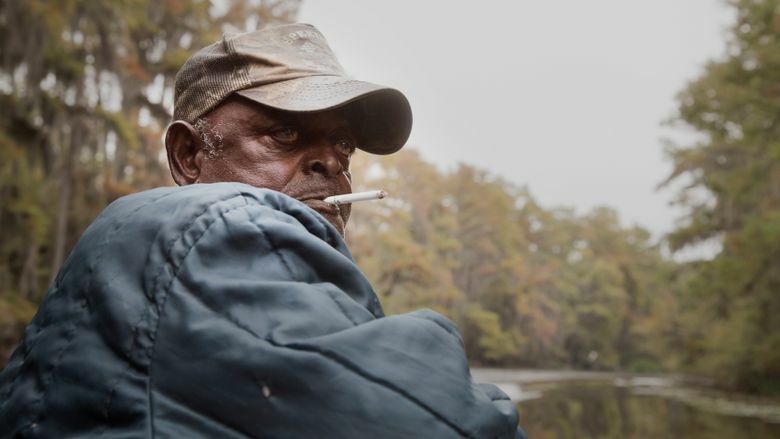 Seattle-based filmmakers Ewan McNicol and Anna Sandilands took one look at the town of Uncertain, population 94, and decided they had to make a documentary about it. “Uncertain” plays at the Northwest Film Forum March 17-19. It’s a flyspeck of a place on the Texas side of the Tex-Louisiana border. Name: Uncertain. Population: 94. On the shore of a weed-choked lake by the name of Caddo. We’re talking bayou country, where the cypress trees rising from the water are hung with thick curtains of Spanish moss. It’s as far off the beaten track as it’s possible for a burg to be. ‘Uncertain,’ a documentary directed by Ewan McNicol and Anna Sandilands. 80 minutes. Not rated; for mature audiences. Northwest Film Forum, March 17-19. They own a company named Lucid Inc.; their background is in commercials and short documentaries; and they were in Lafayette, La., making a documentary, “Roper,” about a young African-American calf roper. “We had a few days to spare, and we wanted to explore the area a bit more,” Sandilands said by email. “We pulled out a map and saw a huge natural lake and a little point at the edge of the lake said ‘Uncertain.’ ” Intrigued, they decided to drive over and check the place out. On the lone road through town, they saw the Uncertain Flea Market, the Uncertain Town Hall and the Church of Uncertain. 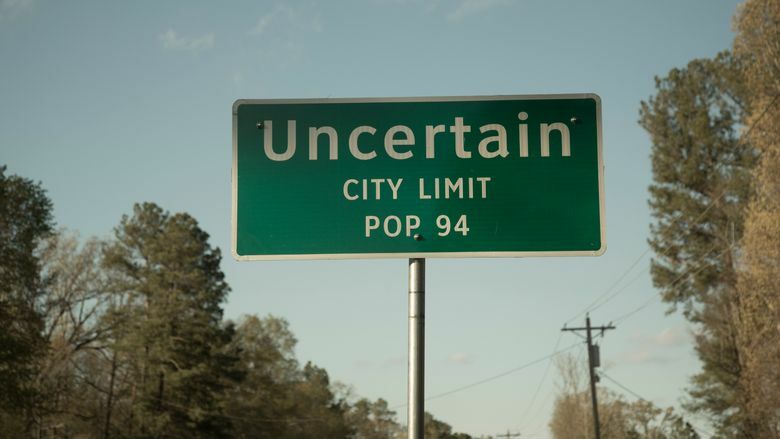 “We thought it would make a great short film: how a town got a name like Uncertain,” she said. And then they started talking to locals. The town mayor then suggested they talk to a guy called “the pig man.” That turned out to be Wayne Smith, a burly Native American from the Chickasaw Nation with a Capt. Ahab-like obsession with hunting down a huge wild boar by the name of Mr. Ed. Shortly afterward, they were introduced to a spindly, multitatted 20-something Caucasian kid named Zach Warren, whose despair as a young person with few prospects stuck in a backwater like Uncertain was deeply felt. Talking to these men, it quickly dawned on the filmmakers that there was a whole lot more going on in Uncertain than could be covered in a short documentary. So, for the next 18 months, they filmed the trio. They filmed 74-year-old Lewis and his contentious relationship with his family and his much younger girlfriend of whom the family heartily disapproved. They filmed Warren as he left town to seek a new life in Austin. And off and on for nine months, they sat with Smith in his hunter’s blind while he tried again and again to shoot the surprisingly elusive tusker Mr. Ed with a black-powder muzzle loader. Since its completion, “Uncertain” has been shown around the U.S. and, in 2015, won the Albert Maysles New Documentary Director Award. It opens for a three-day run at the Northwest Film Forum starting Friday, March 17.